Last year the Organisers of the Everton Village Festival, claimed they had held the most successful Festival ever. This year that success was repeated with added pzazz. The week long events took off in the style that Villagers look forward to. The ‘Summer Serenade’ started the week, a classical concert, by the Palm Court Ensemble. Tickets sold out swiftly and St Mary’s Church Hall was packed to the rafters which did full justice to the talent and skill of the musicians who treated the audience to a professional repertoire of light classical music. The following afternoon, a crowd of eager Villagers and locals gathered in warm sunshine to ramble the lanes of Everton and with the help of local historian Mike Johnston set out to discover Everton’s past. This historical theme was echoed in yet another sold out event in St Mary’s Church Hall when Mike expanded on the information. The evening ended with the audience being treated to a magical glimpse into past times as they were given a Victorian Magic Lantern Show by Pepper’s Ghost. There were plenty of highlights during the rest of the week, Gordon Pound local author talked about his writing experiences, an elegant afternoon tea party was held in the beautiful garden of the White House, which was a recreation of the old Rodbourne Tea Rooms.Throughout the week, Villagers were treated to talented performances by Polly Morris and the Bushwackers, the Festival Folk evening hosted by Steve West, at which a group of Ukulele students, gave their first performance and a musical improvisation evening! All of these were kindly hosted by the Everton and Lymore Social Club. Once again, the club had generously waived entry rules for Festival week and entry was open to everyone. During the evening, with just a short pause to gather their breath the Villagers were back, this time in the warm and comfortable surroundings at the Everton and Lymore Social Club where country band, Grand Canyon pulled in the crowds. 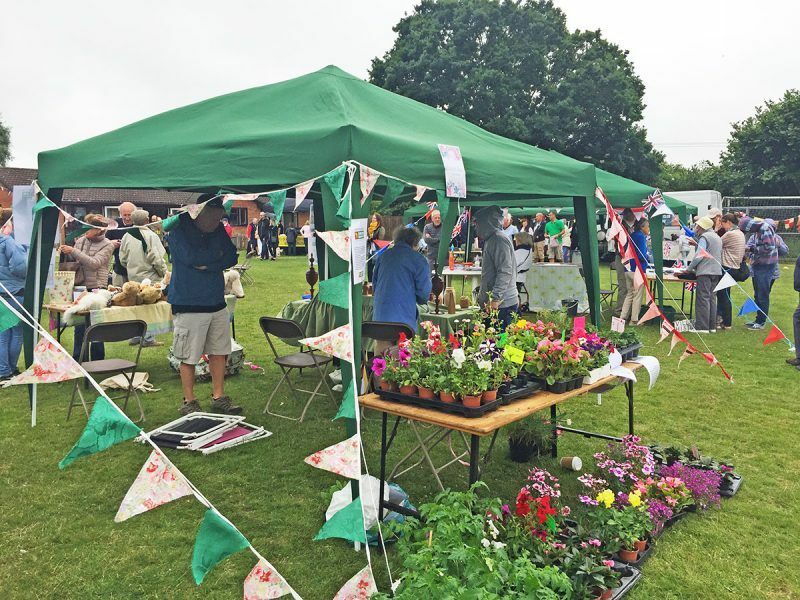 The Festival came to a close on Sunday at Everton Nurseries with a day of music amongst the flowers where Forest Youth Brass performed to an appreciative crowd during the morning. There was a final treat in the evening as once again Big Band sounds from Swing Unlimited brought the Festival to a rousing and foot tapping end. During the evening, Louis Rumis presented the Winners of the Photography Competiton with a trophy. Adult First prize went to Mike Smith, with both Second and Highly Commended being awarded to Dave Miller. The junior trophy went to 11 year old Olivia Magee. The 6×6 art competition was won by Carolyn Miller for her stunning abstract landscape. Cheryl Fillmore, Festival Co-ordinator and Steve Adams, Musical Director, were presented with a token of appreciation by the Chairman of the Everton Community Association, Pauline Breeze. Pauline also thanked the sponsors, in particular, Hyundai, Priory Paving and Purewell for their generous donations and Everton and Lymore Social Club and Simon Collyer for allowing the use of their premises.